Save the date for the next Antibody Engineering & Therapeutics! This meeting brings you the latest antibody science, technologies and partners needed to accelerate next generation antibodies towards commercial success. 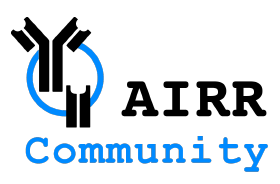 It is the annual meeting of The Antibody Society, whose members are responsible for designing the scientific program and act as the session Chairs. We invite you to come and network with your fellow Society members. For over 25 years, renowned academic and industry scientists from around the world have convened to share best practices and scientific results to accelerate antibody research, discovery efforts and clinical programs. 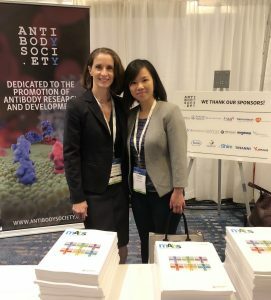 With 900+ attendees, 135+ speaker presentations and 75+ exhibitors and 135+ scientific posters focused on antibody science and technology, Antibody Engineering & Therapeutics is the global meeting place for antibody science, technology and networking. Society members can receive a 15% reduction on the registration fees for this meeting by using discount code Antibody15. To be considered for this poster competition, you must be a student or postdoc member of The Antibody Society. If you are not already a member, you may register here for a free student or postdoc membership. KNect365 is managing the poster submission process. You must check the box on the poster submission form indicating that you want your abstract to be considered for the poster competition. Deadlines for submission will be announced as soon as possible. Previews of previous Antibody Engineering & Therapeutics (San Diego) meetings can be downloaded here or from the mAbs‘ website. In these meeting previews, the session chairs discuss the relevance of their topics to current and future antibody therapeutics development. Antibody Engineering & Therapeutics 2016: The Antibody Society’s annual meeting, December 11-15, 2016, San Diego, CA. Antibody Engineering & Therapeutics 2015: The Antibody Society’s annual meeting December 7-10, 2015, San Diego, CA. Antibody engineering and therapeutics conference. The annual meeting of the antibody society, Huntington Beach, CA, December 7-11, 2014. Comprehensive meeting reports can be found in the Members only section.